Thrift store shopping is a great way to save your family money. If you've never been to a thrift store you may be surprised at the unique items you can find. This is a great inexpensive way to help decorate your home, clothe your family and/or find items you want to resell yourself. I have come across a new online thrift store called Love Thrift that has hundreds of unique items for the whole family. 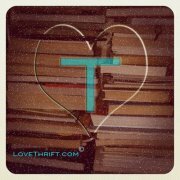 What I like about Love Thrift is that you can do all your thrift store shopping on-line and a portion of the proceeds go to a different charity each month. This is a win-win shopping trip! 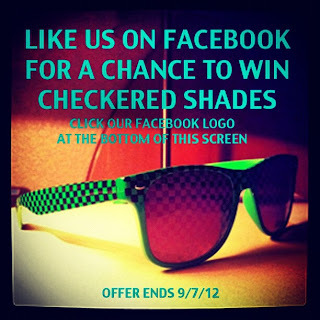 This month if you LIKE Love Thrift on Facebook you will be entered to win a FREE pair of shades! On line thrifting...how fun! Now following you and would love a follow back!